Hospitable and always sunny, Curacao bids you a warm welcome. 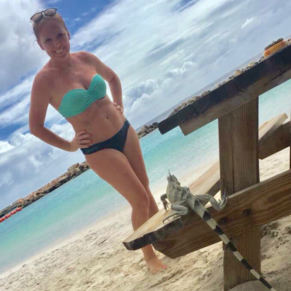 The friendly inhabitants, first class hotels, wonderful climate, crystal clear seawater, fascinating architecture, floating market, pontoon bridge, secluded bays, rich fauna and flora, and the many possibilities for excursions and entertainment make Curacao the tourist's paradise. If you want to choose a port in which to not book an excursion off the ship, then this is the place to go it on your own. 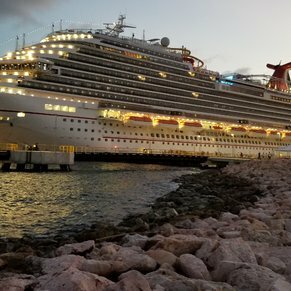 I did not book an excursion and there was a leisurely stroll off the ship into this beautiful port. I had friends that pay $50 or more just to go to a cheap beach nearby. A few friends and found a great company called Ben Tours off the ship and literally paid $20 for a full tour of Curacao with beach time and time at the Curacao liqueur factory with drinks included! It was indescribable. The people are so friendly and school kids even eagerly waved at our bus from the street. I can't say that these are the most beautiful beaches but the atmosphere is phenomenal. Curacao was BEAUTIFUL! It is now my all time favorite port. For a amazingly wonderful day Rent a car for $75 from Advance Car Rental, they meet you at the pier and have all the Island high lights program into a gps. After checking out the colorful town head to the north part of the island to Sabana Westpunt and snorkel with wild turtles that eat fish guts left by commercial fisherman. 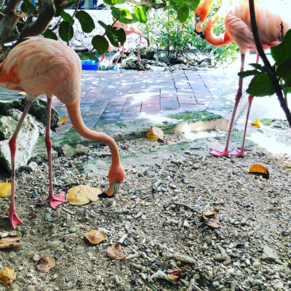 Then drive south to swim and snorkel at one or both beautiful beaches Grote Knip or Playa Jeremi after that drive south to the salt flats and see wild Flamingoes it was the best day of our 14 day cruise. Curacao was my favorite port of the four we visited. The town was within walking distance, and it is simply beautiful! You will also find the best prices here on souvenirs with the biggest selection of unique items. We really enjoyed this port. We decided to walk around town and see the sights on our own. We were able to eat the food and shop in the local markets. I would definitely do this again. 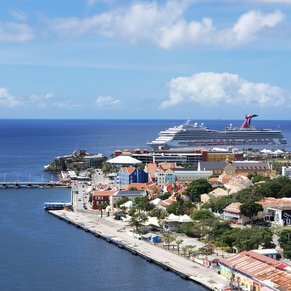 3 of 34 shore excursions in Willemstad, Curacao. There are currently 2 discussions about Willemstad, Curacao.